Exam time stress is common amongst teenagers and young children, This stress is debilitating and can cause anxiety before and during tests and it is not uncommon that a student who gets good grades does not produce good exam results due to this stress. Stress is your body’s normal response to excitement, challenges and sometimes a little bit of stress can spur one on to do better but chronic stress depletes energy and affects behaviour as well affects the immune system making one prone to colds and other infections. Supplement – stress depletes the body of certain vitamins. 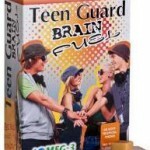 Teen Guard also has a product called Brain Fuel Soft Chews which are high in both EPA and DHA which play an important role in developing and monitoring aspects of brain and eye function such as concentration and learning abilities. 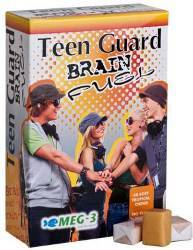 Teen Guard’s Brain Fuel Soft Chews, offer a convenient and great tasting way to get the Omega-3 essential fatty acids that the body needs, into the daily diet, with NO FISHY AFTER TASTE! Next Topic: Moonlight and Roses? When Being a Mother Isn’t.